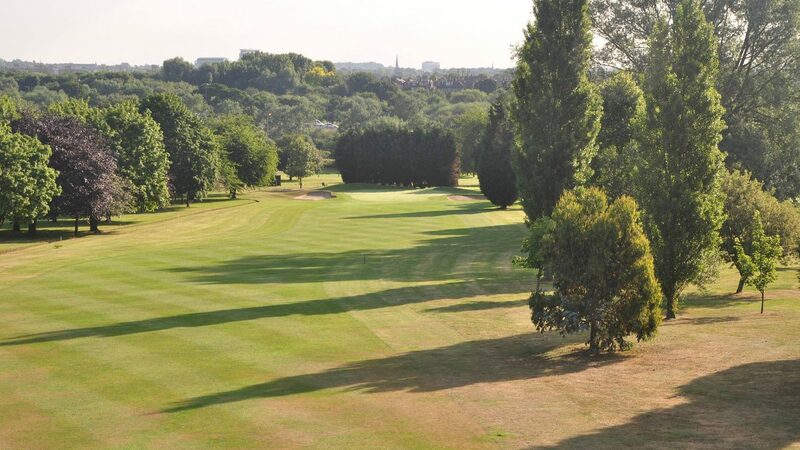 Wyke Green Golf Club is a beautiful Parkland Golf Course situated in West London. The designers were F.G. Hawtree and J.H. Taylor who even to this day remain among the best golf course designers of all time. Widely regarded as London’s friendliest golf club visitors are welcome and membership is available at times throughout the year. With its solitary par 5 being its 10th hole, Wyke Green has many challenging par 4’s. They vary in length and shape and provide even the best golfer with a good test of his or her game. Each one offering the golfer a different challenge, 4 pars to start and 4 pars to finish will always smarten up the scorecard. The clubs halfway house is a superb addition to the round and not to be missed, with a wide variety of hot and cold drinks and snacks to see you into the back nine. The course has four par 3 holes, three of them on the back nine. All testing in their own way but the 16th may well have you reaching for your driver. The clubs signature hole, the 15th is a long downhill par 4 with a tough drive. If you are lucky enough to find the middle of the fairway a long second shot with a long iron or perhaps even a three wood faces you to a generous green. But don’t be fooled, there are some subtle breaks that may lead to that birdie putt sliding by. With a reputation for good greens and all year round playability, Wyke Green really is a must play course in London. Mon-Thu from £29. Fri-Sun from £35. Easily accessible from Central London and close to Heathrow Airport. Visitors Green Fees £30 Mon – Thursday £40 Fri – Sun (Weekends afternoons only). Practice facilities and fully stocked pro shop. PGA Professional tuition available. Function hire space for private events and parties.